Ian Charles Cooper Clenshaw was born in Essex in 1918, his father is shown in the 1911 census as 'warehouseman for wholesale draper' and his mother’s maiden name was Cooper. He joined the RAFVR as an Airman u/t Pilot in February 1939 and made his first flight in a Tiger Moth at 34 E&RFTS Rochford on the 19th. 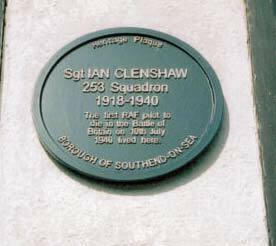 In June 1940 he was serving with 253 Squadron at Kirton-in-Lindsey. 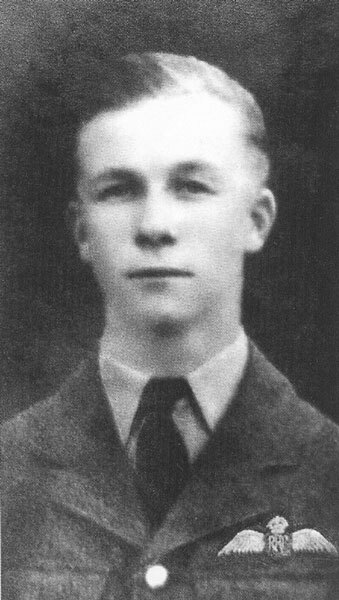 On 10th July he was on a dawn patrol in poor weather and lost control of his Hurricane, P3359, and was killed when the aircraft came down near the Humber coast. 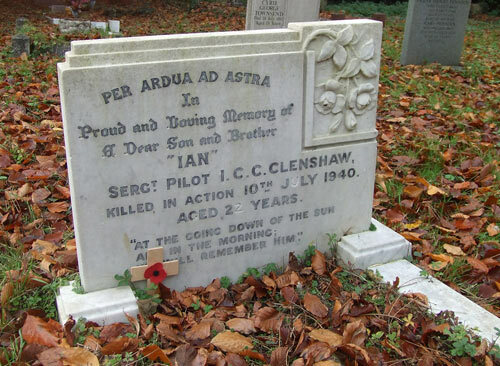 Clenshaw was 22 and the first RAF casualty of the Battle. 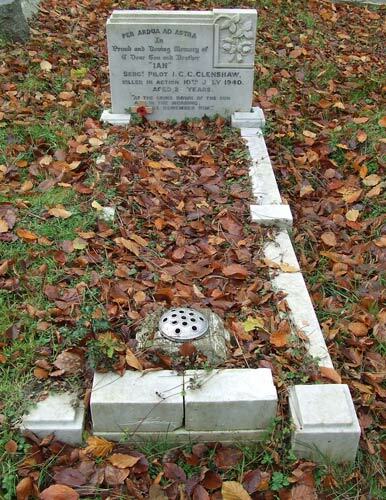 He is buried in St Mary’s churchyard extension, Kelvedon, Essex. Southend Council honoured his memory by placing a plaque at his home in Shaftesbury Avenue, Southend on 10th July 2000, 60 years to the day that he died.